Summary: A male and female robin build a nest; before long, there are four eggs inside. Twelve days later, the babies hatch. After a period of mostly sleeping and eating, the fledglings are ready to fly. They learn to find their own food and defend themselves, and before long, Mom and Dad have an empty nest. 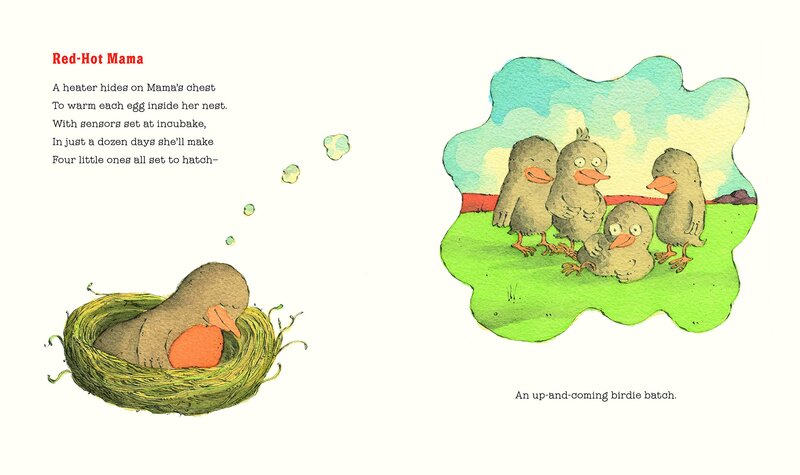 Not for long, though; the mother lays four more eggs, and twelve days later….40 pages; ages 4-8. 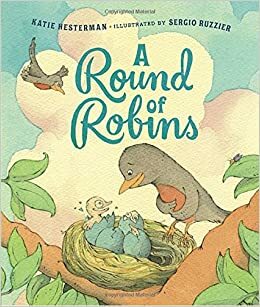 Pros: The first part of a robin’s life cycle is described with playful rhymes and cute illustrations that reminded me of P. D. Eastman’s The Best Nest and Are You My Mother? Cons: Some back matter would have helped explain some of the poems and made this more useful as an informational book.